Jenn Cole is a functional potter living and working in Cookeville, TN. She graduated from Ohio University in Athens, OH with a Bachelor of Fine Arts in Ceramics in 2012. 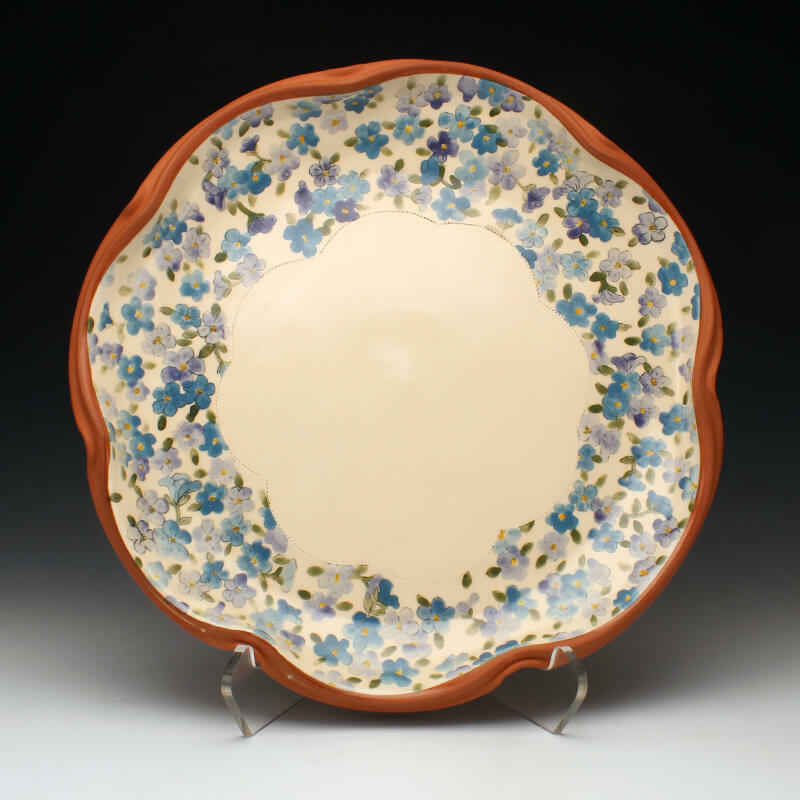 Jenn has been a Resident Artist at The Ceramics Center in Cedar Rapids, IA, the Artist-in-Residence of Exhibitions at Tennessee Tech’s Appalachian Center for Craft in Smithville, TN; as well as, a short- term resident at The Red Lodge Clay Center. Following her residencies, Jenn worked as the Gallery Manager at the Appalachian Center for Craft’s Goldenrod Gallery and most recently as the Curator of Exhibitions and Gallery Coordinator for the Red Lodge Clay Center in Red Lodge, MT. I believe that connections between people are best facilitated over a good meal using objects designed to beautify everyday rituals. I am interested in familial connections and creating a dialogue between the past and present through the catalyst of handmade pottery, specifically dinnerware. I am inspired by a quilt meticulously crafted by my great grandmother, finished by my grandmother and stories of the past, stories about my relatives and how their history shapes my own. I believe memory is preserved through the tactile experience and archival process. A handmade quilt acts as a representation of family and shows the wear and tear of everyday life. Every stain, every frayed fiber, and every patterned square on the quilt tells a story and gives insight to questions that I cannot ask my deceased kin. I use clay as my vehicle of making because as a material, it acts as a retention of memory in a similar manner, remembering and preserving every detail throughout the making process. I approach my handmade pottery as a blank canvas to apply my watercolor and embroidery inspired floral motifs. As my imagery progresses across a vessel I think about how the surface of a pot can transcend a cloth canvas. My pottery allows me to move fluidly between traditional ceramic techniques such as sgraffito and mishima, quilting and sewing techniques and painting. My recent imagery comes from the idea of blurriness and faded memories. For me, watercolor painting has a softness and fluidity that lends itself to bleeding, blurring, and distortion that feels like memories from long ago. Embroidery patterns, vintage motifs, and floral drawings create an internal dialogue for me that I hope evokes a sense of nostalgia for my viewer.